Panda Update: More Google Algorithm Or Index Updates? Maybe A Rollback? Update: Google has confirmed that this is a Panda refresh. This would make it version 23 and it impacted about 1.3% of English based queries. I should note, I am shocked they pushed out a refresh before the holiday seasons. Last year they promised they would not do a Panda update before the holidays. What a difference a year makes. That being said, there are now new reports in the same WebmasterWorld thread of an update hitting a few hours ago in the Google search results. 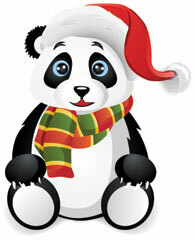 @rustybrick looks like a panda update today Barry? Looked like something got rolled back to me. My positions have all reverted to where they were last week. There has been some shuffling overnight (in which my main key term page has gone from page 2 to page 4). Now it is really early and the reporting tools have yet to report as of this morning, including MozCast, SERPmetrics and SERPS.com. Although, since this seems to have been updating early this morning, the tools may not show anything until tomorrow. Google has confirmed a Panda refresh impacting 1.3% of queries!